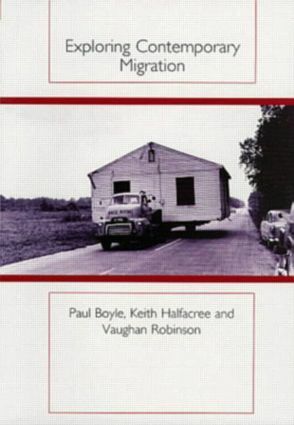 Exploring Contemporary Migration provides the first comprehensive introduction to the various aspects of population migration in both the developed and the developing worlds. Some of the most important quantitative and qualitative methods used for the description and analysis of migration are presented in a clearly structured and accessible way. The various theoretical approaches used to explain the complex patterns of migration are also summarised. These patterns are then explored through the use of specific migration-related themes: employment, stage in the life course, quality of life, societal engineering, violence and persecution, and the role of culture. Exploring Contemporary Migration is written in a user-friendly, accessible style, appealing to undergraduate students of population geography and social science students taking a population module. This text will also be valuable reading to those researchers and academics concerned with gaining a broad understanding of the dynamics and patterns of contemporary population.